The Good Guys brief was to develop an AV system that would be user-friendly, cable-free and would allow the two adjoining meeting rooms to operate separately or as one large room. One of the key components in the design of the Good Guys solution was the AMX control system. 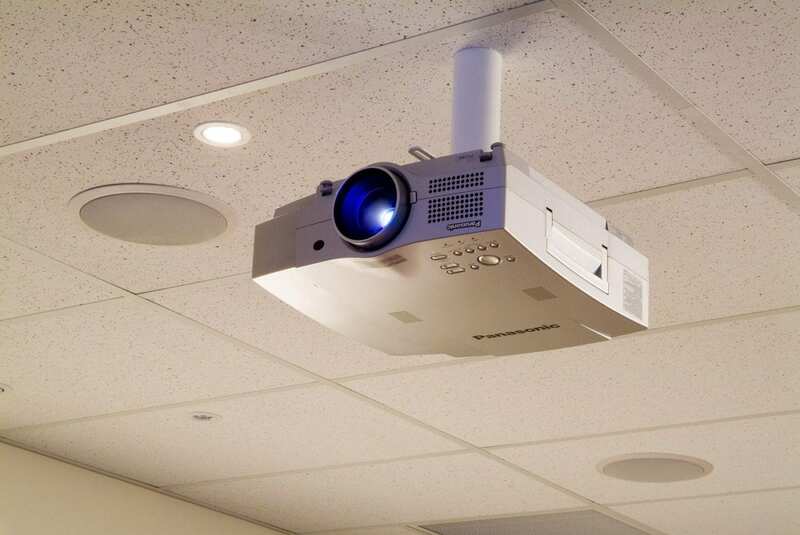 Two AMX touch panels were used, eliminating the need for multiple remote controls and simplifying the control of the individual AV and electronic components of the rooom for the staff. These included the lighting, automated blinds, projectors, screens, sound system and the DVD/VCR. The control panel in the main room also has the ability to manage the operation of the second room when the partition is opened and the rooms function as one. A cable-free environment was achieved with the use of a cordless keyboard and mouse that controlled dedicated PCs in each room from a range of up to 30 metres. While the tilt’n’plug interface provides the connection at the tabletop without having cables draped across the room. When not in use, this tilt’n’plug sits flush with the tabletop – neatly out of sight.